Window display for Agile Films. The brief was to recreate a scene from a well known film. I chose Indiana Jones And The Last Crusade. 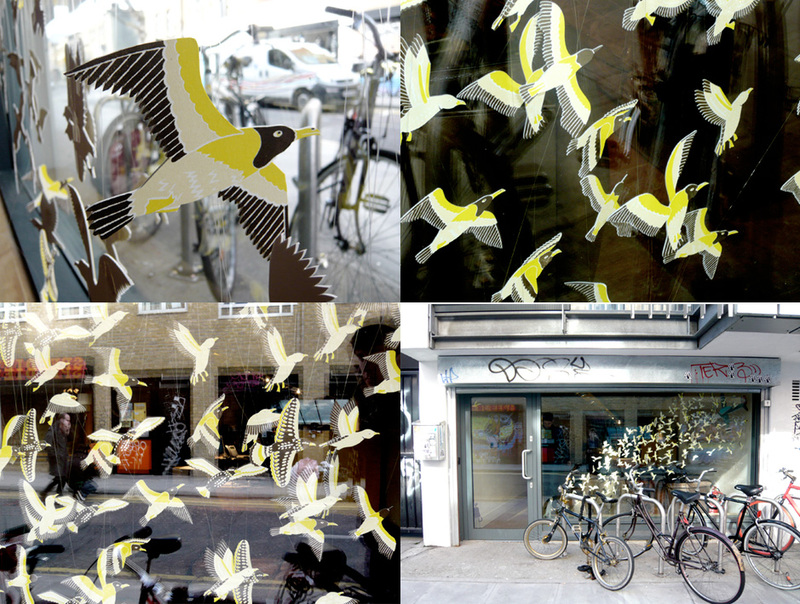 I screenprinted and hand cut out 250 birds as well as creating several other elements from coloured paper. This is now on permanent display on a wall inside the Agile Films studio.